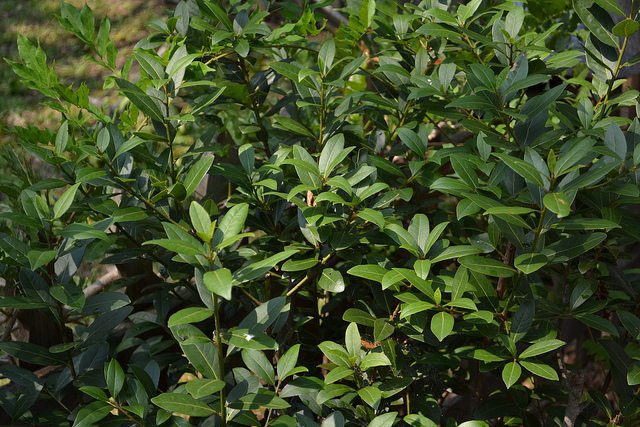 An essential herb you should have available to you is bay (Laurus nobilis) it is an easily available plant to buy but if you want to grow your own heres how! Take a heel cutting, a fresh shoot or tip in early summer or in the autumn. 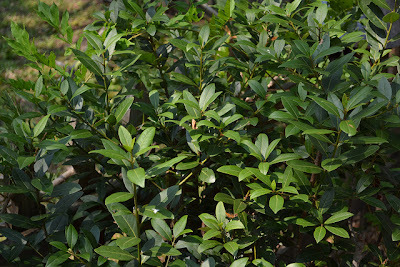 Cut from a mature bay tree don't be tempted to take one from a young plant. The cutting should be about 8cm (3") long. Strip off the upper and lower leaves from the cutting. Dip the intended root end into a cutting rooting hormone powder. This will stimulate vigorous root growth. Put the cutting into a small pot filled with two-thirds coarse sand and one-third good quality multi-purpose compost. Put the container under a plastic bag hanging over wire or similar to keep it from touching or landing on the cutting. This creates a mini-greenhouse for the cutting. Be patient. It will take around 9 months for the cutting to root.